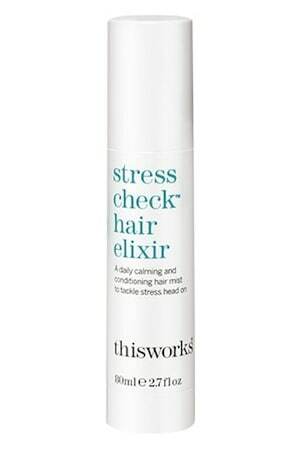 This Works Stress Check Hair Elixir repairs damaged hair, and gives off a fragrance targeted to calm the nervous system. With floral inclusion of neroli, patchouli, lavender, vetivert and chamomile, these olfactory additions were created specifically to reduce feelings of stress and anxiety throughout your day. The formula also adds hydrating Mongogo and Tamanu oils to keep flyaways and frizz at bay, nourishing and conditioning the hair as you go about your busy day. When it comes to combatting split ends, often quick fixes don’t get as great a result as time-consuming hair masks do. So, when Bhave’s Fresh Ends Split Ends Repair crossed our desks, we were most impressed by the efficacy and its promise to be busy-friendly. The leave-in formula (that works on dry and wet hair) continues to do its work all day long, restoring health and moisture to your damaged ends. 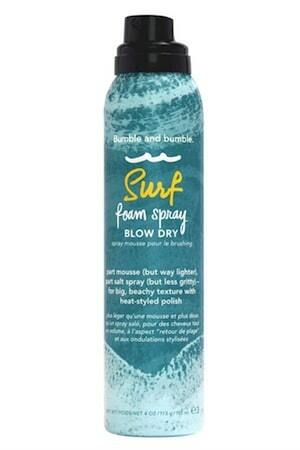 Combining the old with new(ish) methods of getting those texture just-went-for-a-quick-dip-in-the-ocean waves we want – so, mousse and sea salt spray – the Surf Foam Blow Dry Spray is the product of the best of both. 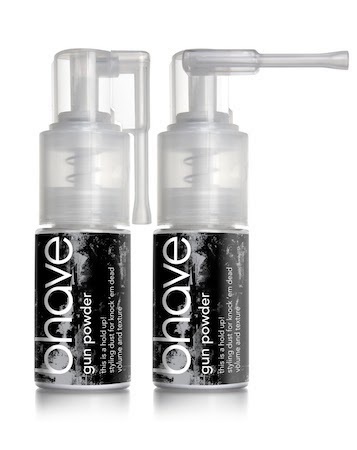 The soft hold of a mousse, with the natural finish of a salt spray, this product is designed to work with a blow dry (as opposed to air drying). For a more refined look, go for a brushed through blow dry; or for a barely-tried finish, scrunch through ends and use a diffuser to dry. It is also infused with coconut water and UVA/UVB filters to protect against the drying effects of the sun. Although we sometimes look forward to a relaxing weekend, sometimes that’s not the case, and we need our hair to keep up with our busy schedule. In between outdoor activities, dinners, concerts and parties we need our hair to hold up. 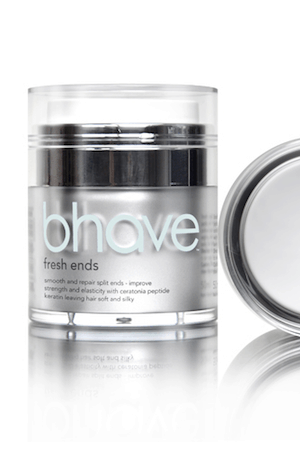 Bhave Gunpowder is a light styling powder that creates volume and texture, without any harsh sprays or mousses. It also adds life to your hair in between shampoos, so you’ll be fresh and ready to go, even if you had to skip a wash. Sometimes powder doesn’t blend as well as we’d hoped in our hair, and hairspray can be too crunchy. What’s a girl to do? KMS has our back with their ADD VOLUME Liquid Dust. This liquid dust has all the effects of a powder in regards to volume and texture, but (drumroll…) in a liquid form. What does this mean? No missed powder you didn’t see to brush through, and a much cleaner, easy-to-apply option. Put 1-2 pumps on towel-dried hair, start up your blow drier, and style away. Although many products claim to be purse-friendly in size, little is considered when talking application. Powders, sprays and oils are great in your bathroom, but either inconvenient, or inconsiderate to those around you. The Davines Volume Creator Brush volumises without offending the senses, simply dab the small kabuki-like brush to your roots. This brush applies styling powder seamlessly throughout your hair for an instant textured look. I’ve never heard of a beachy wave mousse that is made specifically for blow drying… I always let mine air dry after using, very interested in this product! A volume BRUSH?!! Wow how do you use this? Do you simply brush it up on your roots – similar to teasing with a brush?